Israeli Prime Minister Benjamin Netanyahu visited Moscow on June 7. Moscow and Ankara have softened their rhetoric after months of bitter exchanges. Does this indicate that they are ready to begin a dialogue? Analysts discuss whether Israeli Prime Minister Benjamin Netanyahu can help Russia and Turkey arrive at an understanding. Israeli Prime Minister Benjamin Netanyahu’s visit to Moscow on June 7 was officially stated to commemorate 25 years of diplomatic relations between Russia and Israel. Some analysts, however, also see a hidden agenda. 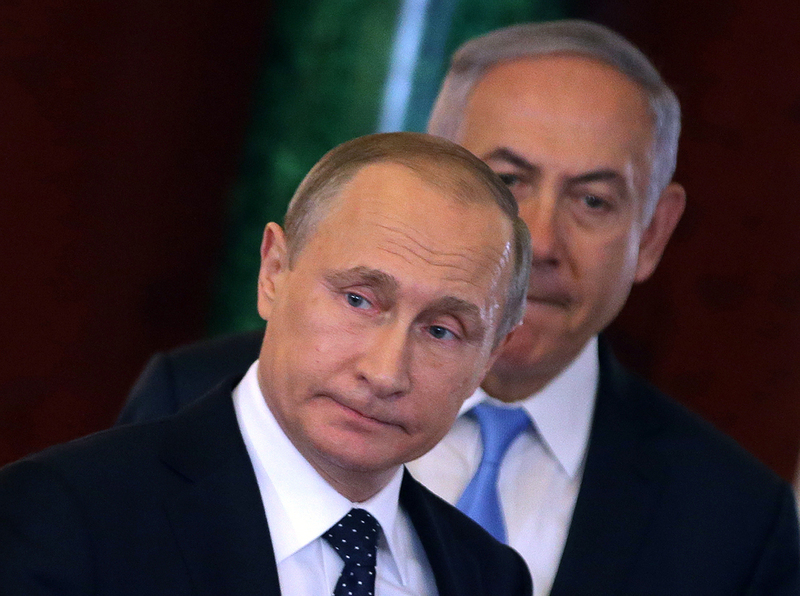 Russia and Turkey are both seeking a mediator to help them re-establish ties, and Israel is ideal for this role. The harsh rhetoric between Moscow and Ankara since Turkey shot down a Russian jet on its border with Syria last November has shown recent signs of softening. During a visit to Greece on May 27, Russia’s President Vladimir Putin unexpectedly said he wished to improve relations with Turkey. "We have not heard any apologies. And we have not heard of Turkey's readiness to compensate for the damage. But we have heard statements expressing the desire to re-establish relations,” said Putin. “We also wish to re-establish relations. We did not destroy them. We had done everything possible over the last decades to elevate Russian-Turkish relations to an unprecedented level of partnership and friendship," he said. Turkey reacted three days later, on May 30, when Turkish Foreign Minister Mevlüt Çavuşoğlu proposed the creation of a working group to normalize bilateral relations. The Kremlin responded saying that a working group would not solve the problems. Only the Turkish government could do that. Responding to journalists’ questions on May 31, Turkish President Recep Tayyip Erdogan said, "It is difficult for me to understand which first steps Russia expects us to take. We as a country are not at fault. We want to develop our relations with Russia." Russian presidential press secretary Dmitry Peskov, perforce, had to reiterate Moscow’s requirements for the benefit of his Turkish counterparts: an apology, compensation and punishment of those responsible for downing the Russian jet and subsequent death of one of its pilots. Will Ankara accept the demands? "Moscow has clearly stated its position," said Viktor Nadein-Rayevsky, a Turkey specialist and senior scientific collaborator at the Russian Academy of Sciences’ Institute of World Economy and International Relations. "Turkey must act in accordance with these requirements." However, Nadein-Rayevsky doubts that Turkey will make any concessions. "The Turks really want to improve relations with Russia. They are facing bigger economic losses, in agriculture and in tourism,” he said. “Currently Turkey is actively looking for loopholes to normalize relations. But I don't think that Erdogan will apologize personally. This would be a big blow to his name." In Nadein-Raevsky's view, without an apology from Ankara, it is meaningless to speak about normalization of relations between Turkey and Russia. There has already been talk of a mediator defusing the Russia-Turkey conflict. Names including those of Azerbaijani President Ilham Aliyev, Kazakh President Nursultan Nazarbayev and German Chancellor Angela Merkel have been proposed. Nadein-Rayevsky believes the Israeli Prime Minister is not the best choice. "The choice of Netanyahu as mediator is completely illogical," he said. "Turkey and Israel themselves need a mediator. They still haven't re-established their relations 100 percent." There was an incident between them in May 2010, involving Turkey's Freedom Flotilla, which was then bringing humanitarian aid to the blockaded Gaza Strip. As the ship broke through the blockade, Israeli border guards opened fire, and eight Turkish citizens died. After the incident, relations between the two countries drastically deteriorated, becoming so bad that diplomatic ties were downgraded and low-ranking officials maintained them. Hasan Oktay, a Turkish analyst and head of the Baku-based Caucasus Strategic Studies Centre, however believes Israel could play a successful role as a mediator to defuse the Russian-Turkish conflict. He argues that the June 7 appointment as Turkish vice prime minister of Tuğrul Türkeş, famed for his good contacts with Israel, was no coincidence. “Israel can definitely become a mediator. Such a move would guarantee security in the region and both Russia and Turkey would only gain from this mediation," said Oktay. Nadein-Rayevsky does not agree, however, describing talk of Netanyahu as a mediator as “just journalistic fantasies and nothing else."